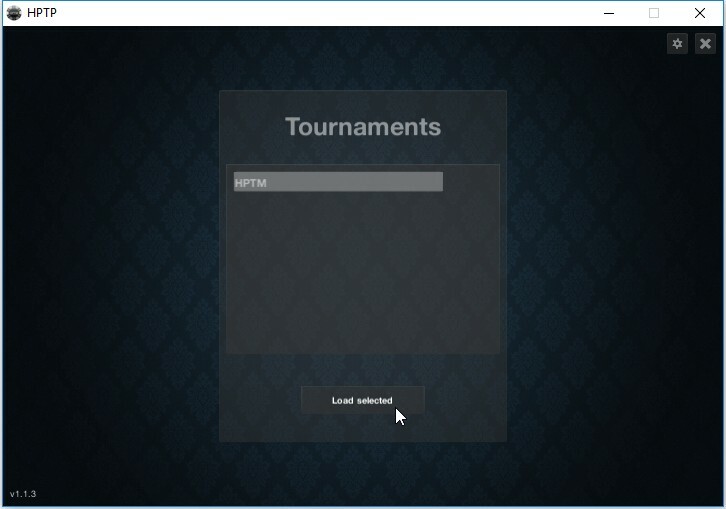 Starting from version 1.1 I've introduced the Home Poker Tournament Player! This is a separate program that can connect to a tournament run with the Manager on the same local network. As you see there are no controls at the bottom, the tournament can only be edited with the Manager. You can choose different backgrounds, sounds are only played by the manager. The player as a windows executable was not my original intent. 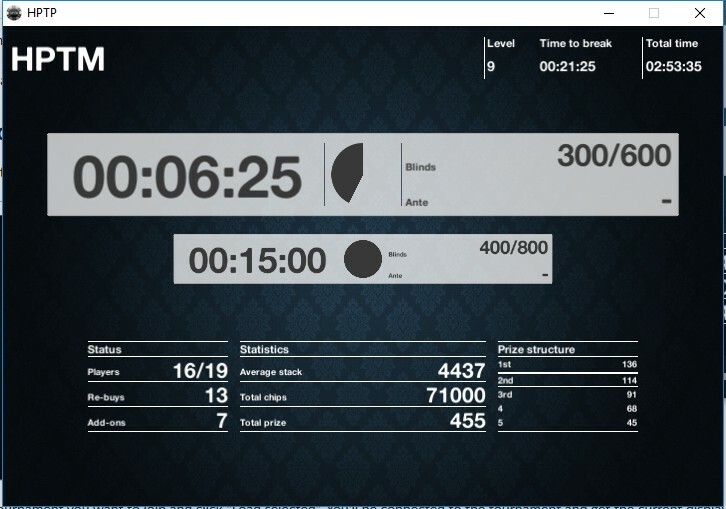 Later I'll be introducing the Player as an Android app, so people playing in your tournament can follow the stats on their smartphones. But since the app also works on windows I thought I could as well deliver it too. This way you can set up multiple screen displaying the same information. In fact you can already try the player on Android if you want, it's currently in beta! Have fun! Give me feedback!